Davies Water Heater Repair & Install is a plumbing company that is providing services in Chicago and its surrounding areas. A licensed plumber in Chicago, Davies provides one of the best plumbing jobs and aims to provide the best customer experience. 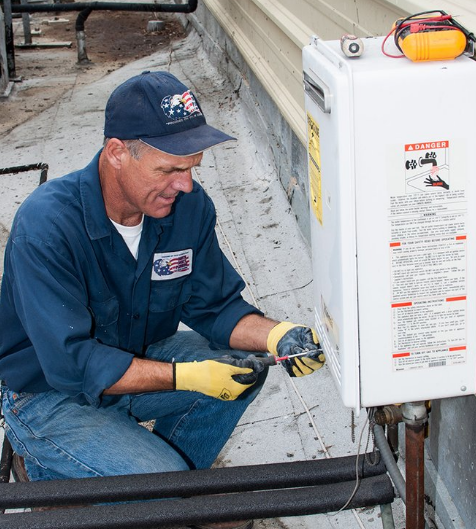 With years of experience in this industry, Davies water heater repair & install plumbers knows their way around with how the things work and how to install/repair any issues in a very efficient way. Well educated with the plumbing code and well trained in providing all plumbing services, Davies water heater repair & install is the right company to call for all your plumbing needs. With years of experience in repairing and installing all plumbing services for customers in and around Chicago, Davies Water Heater & Repair offers one of the best plumbing jobs for you. They offer a 24 hour plumbing services and all kinds of emergency plumbing repair/fixes. With a full guarantee on the services and products they provide, you can rest assured on all your plumbing problems will be at bay for a very long time. Call the Davies Water Heater & Repair number and book an appointment today. You can contact the Davies Water Heater & Repair at (773)-657-5731 and also get a free consultation for any new plumbing projects and estimates.